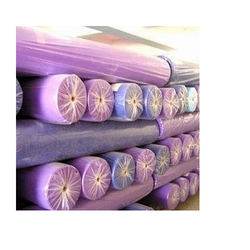 Prominent & Leading Manufacturer from Mumbai, we offer pp spunbond nonwovens fabric and nonwovens fabrics. We manufacture PP Spunbond Nonwoven Fabric by utilizing the latest state-of-the-art German technology "Recofil II" Double Beam plant from Reifenhauser. The manufacture of Spunbond Nonwoven fabrics involves a continuous process, which covert thermoplastic raw material (Polypropylene), into a web composed of continuous filaments. The polypropylene granules are meltspun through jets into thousands of fibers with a diameter of +/-20 microns (2.8-3.0 dtex). These very fine filaments are uniformly laid down into random three - dimensional structure. The web is then presented to a calender, which thermally bond the web in consolidated Spunbond fabrics. Spunbond is highly versatile and it meets the need of diverse range of products like medical, hygienic and industrial market application. The properties of the fabric are breathable, soft light, chemical resistant, nontoxic and environment-friendly. We present in front of our clients, a wide range of Nonwovens that has excellent usage in medical industry. Made on advanced lines of reicofil from reifenhauser, Germany, these have excellent properties of skin- friendliness. This property of the nowoven makes it best suitable for hygiene products. Available in wide varieties of colors, widths and weights, the range has excellent properties like breathability, water absorbency, UV resistance, nontoxicity, softness and many others. Anti- static, anti- moisture and hydrophillic in nature, the nonwovens have great usage in medical protection products, industrial protection products and personal care & cosmetic products. 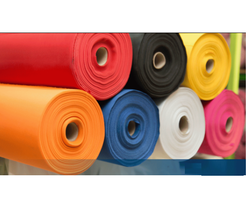 These nonwovens are available in stretch wrapping and film packing options to choose from.